In today's post we will be covering several of the most common types of new office chairs, there function or purpose, and what makes them beneficial to end users. With so many seating options on the market it's important to educate yourself with as much buying power and product knowledge as possible. We hope that you find this post informative! It's all in the name! This form of chair is obviously designed for professional office use. Typically a conference chair will feature loop arms that are upholstered in a leather of your choice. Common styles include both high back and mid back variations. In most cases, the larger the boardroom the fancier the conference chair. 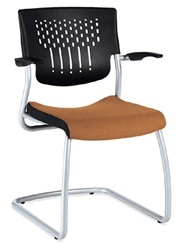 For small spaces a simple task style conference chair with mesh back is typically used. These types range from about $99 to $249 depending on brand. For more upscale conference areas a high back leather chair is often used to convey success. These range from about $299 on up. Again, these estimates completely depend on the brand you choose to go with. 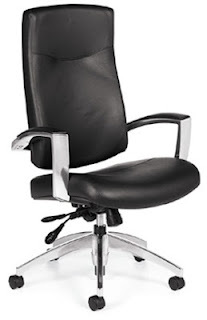 In most cases desk chairs are the most affordable style of chair made. A desk chair will typically feature a fabric or breathable mesh back design like the chair pictured above. Modern desk chairs can offer quite a few quality ergonomic features like adjustable arms, built in lumbar supports, and various tension adjustments. The average price for a new desk chair is around $99 but more upscale models are certainly available. 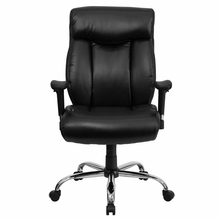 Executive office chairs are the definition of success and class in the workplace. A high end executive chair will feature a high back design, Italian leather upholstery, various top notch ergo features, and much more. 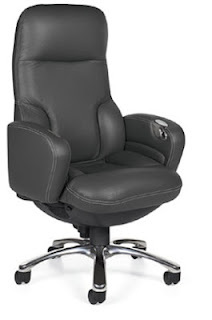 The chair shown for example is one of the most upscale executive chairs on the market. 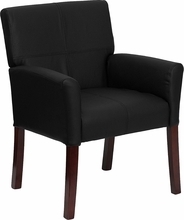 The Concorde Presidential Chair sports a price tag of $2179. For a chair with this many features, and this high a comfort level, it's worth every penny! However, that's a bit unrealistic for the average consumer! That being said, the common conception is that executive chairs have to be extremely expensive. This is definitely not the case. Excellent executive chairs from respected manufacturers including Global Total Office can be purchased for as little as $399 in a variety of leather options. Depending on the statement you are trying to make, and the level of comfort you demand, there is definitely an executive chair on the market for you! Side Chairs: Typically used in executive offices to compliment the decor. These types of guest chairs usually feature a wood finish and can be in either mobile or fixed leg variations. Beam Seating: Beam seating is becoming more and more popular. 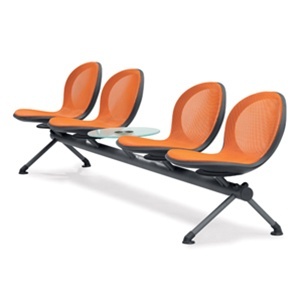 As the modern office furniture boom continues, the market for products like beam seating will grow as well. This style of guest chair is often completely customizable. Beam seating offers the ability to add or remove seats and tables from a beam in order to maximize a spaces potential. 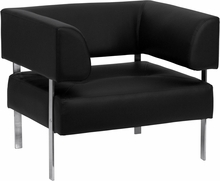 This for of office seating is most commonly found in reception areas. Lounge Chairs: Most of us are familiar with this style of chair. Lounge chairs are found in homes, waiting rooms, lobbies, and many other places. While fabric lounge chairs are popular, leather versions dominate the market. This type of chair will always be popular, as in most cases it allows for shoppers to pair a selection with other matching furniture from the same collection. 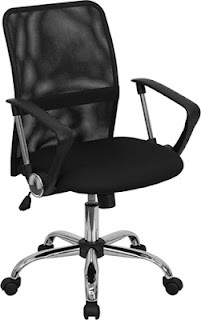 Big and tall office chairs are typically made to support up to 500 lbs. For most people to consider a chair "big and tall" it needs to support at minimum 300 lbs. Shoppers in the market for this style of chair will find a huge selection of awesome seating designed to provide optimum levels of comfort. Big & Tall seating often offers excellent ergonomic features and chair adjustability not found on other office chair styles.